Gastroparesis the beginning. I believe my journey began in 1989 with the first migraine, but I didn’t realize it. The first migraine I had was a reaction to Indocin. I thought, at the time! And it may very well have been! What you also need to know? Is that I was an avid exerciser, biker, jogger, and really worked at being healthy. Always had sinus and constipation issues but did my best to get around those without slowing down and you would not see me near a doctors office~~ until it interfered with my life! Which one winter it did with pleurisy… My Dr just shook his head, when I said, ” I can’t run… Because it hurts to breathe,!” And he says, ” well yeah!” One thing which might help to understand my personal tenacity? Is to know, I was hit straight in the driver’s side door in 1990. I was leaving an observation of elementary school to then drive two hours for exams towards the end of a semester, to finish a degree in early childhood education! My car was totaled, my tooth knocked out, lower front jar broken, muscles pulled from back of my neck, and all I could think of was “this is not! Happening right now! I am finishing this degree!” I would get my mouth wired, go home, return to the hospital with concussion symptoms and AGGRAVATED! But would return to my classes in a neck brace. Okay, so fast forward to many years later and I begin to have non- stop stomach viruses. They were also linked to a period of time with massive migraines, sinus polyps, walking pneumonia, two sinus surgeries, allergies, and then the hunt began. 1996 I had a hysterectomy and appendectomy because of repetitive ovarian cysts bursting and forming with endometriosis. Along with the ongoing -unrelenting GI issues. Things would calm for a period of time. Then I would go into fight to keep my job to only lose it again with nausea, vomiting, diarrhea, abdominal pain recurring again with bouts of constipation. The dehydration and migraines with a merry- go- round of symptoms hiding themselves from the normal tests made diagnosis difficult back in 1996 – 1998. I would be fired from my teaching job… Get another job .. Then be fired from it while in a hospital bed. Then while in the gastroenterologist Merry-go-round … a precious Doctor told me … “I am referring you to a motility specialist.” I immediately asked him, ” do you think I am crazy? What kind of doctor is that?” Because to be honest, this was getting a little crazy and at this point, I had never heard of a motility specialist! 1999 He reassured me and this phase of my journey would lead me to Dr Thomas Abell … Thank God! Who removed the question marks and got everything stabilized enough to do testing and begin the diagnostic phase. The answers weren’t easy.. 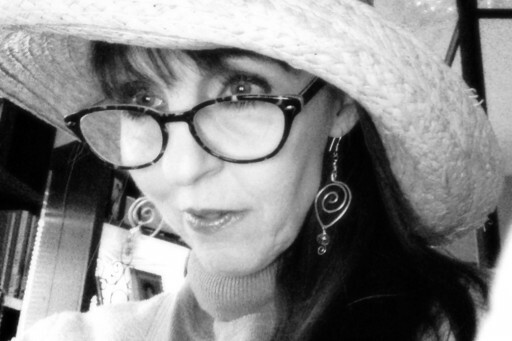 But the point of this whole story is … I would not have found out, I had gastroparesis, a paralyzed colon ( pseudo-obstruction) , received help for these migraines ( abdominal based) and went on to peel back the layers of sjogrens and mitochondrial malabsorption disorder…. Neuropathy. ( i probably left something out … I live in a semi- state of denial) The first set of doctors were the “best” but clueless! The second tried, but referred me, and that led me to the “third time is blessed! ” The third attempt I was blessed enough to meet a Doctor who had trained under Dr Thomas Abell! 2000 He would go on to send me to South Carolina and Dr Lahr and have a colectomy – which changed life measurably. Did not change the facts, but made it less miserable! So, from a diagnosis in 1999 to today trying to stay alive~~~ the theme is persevere one moment at a time. Doing what is necessary is not easy, nor do we always have the strength to do so, but it is better to go forward .. No matter how tedious or difficult! So, on this synopsis of a journey which did not accept the gastric electrical stimulator, I have gone through a PICC line placement from 1999 – 2005, port-a-cath placements from 2005 – present. ( on fifth port) I celebrate today, but pray for a better tomorrow and research with diagnosis codes which allows for treatment without hearing ” we know you need this, but because others have messed up – we have limits which have been put on us” Then you ration your meds.., and the insurance company decides not to pay for an item which meets the criteria for which they are basing their denial! We are survivors of this journey- have perseverance ~~ even in those moments when we feel our well is empty!